2013 LEGO polybag sets for your collection! ➡ 2013 LEGO Seasonal Polybags: There are a couple of polybags for this spring. The #4002 LEGO Springtime Scene contains a tree, fountain, a boy and girl (if we would have a cheesy smiley it would go here), some fences and foliage. Overall a cute little set, especially if you would give it to a special someone. The #40053 LEGO Easter Bunny with Basket is going to be available for Easter – obviously. The Easter Bunny is not the cutest LEGO ever made, but it is a nice little set for some fun building. ➡ 2013 LEGO Lone Ranger Polybags: You already heard about the LEGO Lone Ranger sets coming, right? (You can read about them here: 2013 LEGO Lone Ranger Sets Pictures!) Besides the sets there are also going to be a couple of polybags. The #30260 LEGO Lone Ranger’s Pump Car is going to be very useful for LEGO Western building, and it also includes the Lone Ranger himself with his awesome new gun. The #30261 LEGO Lone Ranger Tonto’s Campfire includes Tonto! Have you seen his hairpiece?! EPIC! Also comes with a campfire and a chicken-leg. ➡ 2013 LEGO Super Heroes Polybag: Only one polybag for Super Heroes, the #30167 LEGO Super Heroes Iron Man vs. Fighting Drone. This would be the cheapest way to get Iron Man, and if you love flick-fire missiles and tiny drones, this is the polybag to get! ➡ 2013 LEGO Legends of Chima Polybags: As you probably already know from the previous posts here, LEGO is pulling out all stops as far as advertising the new LEGO Legends of Chima theme. Besides the regular sets and Speedorz game-sets there are also 6 polybags, each of them including the new CHI piece. The #30250 LEGO Legends of Chima Ewar’s Acro-Fighter set is a cute little build – get this polybag if you want Ewar. The #30251 LEGO Legends of Chima Winzar’s Pack-Patrol includes Winzar the Wolf and a little sled for him to ride. The #30252 LEGO Legends of Chima Crug’s Swamp-Jet includes the only brown Crocodile and a small boat. The #30253 LEGO Legends of Chima Leonidas’ Jungle-Dragster includes one of the main Lion characters and also some nice light-orange parts. The #30254 LEGO Legends of Chima Razcal’s Double-Crosser – I love how awesome the Ravens are, but I don’t quite get why Razcal has to drive a vehicle when he has wing. But I guess that’s why it’s called the Double-Crosser. The #30255 LEGO Legends of Chima Crawley set is the smallest of the Chima polybags and includes Crawley, a CHI piece, and his cool brick-built gun. ➡ 2013 LEGO Creator Polybags: The #30183 LEGO Creator Little Car comes with a cute little car for racing down the hallway. The #30184 LEGO Creator Little Helicopter is great for swooshing around. The #30185 LEGO Creator Little Eagle is my favorite LEGO Creator polybag. It looks exactly like his bigger brother in the #31004 LEGO Creator Fierce Flyer set. ➡ 2013 LEGO Star Wars Polybags: The #30240 LEGO Star Wars Z-95 Headhunter looks just like the bigger #75004 LEGO Star Wars Z-95 with a nice assortment of pieces. The #30241 LEGO Star Wars Gauntlet is a mini version of the #9525 LEGO Star Wars Pre Vizsla’s Mandalorian Starfighter. This set was originally named incorrectly, so it was later renamed the Gauntlet. Comes with a good assortment of dark-blue LEGO pieces. The #30242 LEGO Star Wars Republic Frigate is a mini version of the #7964 LEGO Star Wars Republic Frigate – not the best mini-set in my opinion, but it has some useful pieces. The #30243 LEGO Star Wars Umbaran MHC (Mobile Heavy Cannon) is a cute little version of the #75013 LEGO Star Wars Umbaran MHC set, with positionable legs. These are 2013 polybags we know about at this point. I’m sure more polybags will be coming out this year, but since we don’t have pictures yet we just have to stay tuned for more info. A lot of LEGO fans collect polybags as they are fun little sets and they don’t take up a lot of space. They are also a cheap way to get minifigures and nice pieces. It sometimes takes a bit of hunting to find them all, but they are usually available at LEGO Stores, the Online LEGO Shop, and some retailers. They are even given out as freebies at times. Currently the #30250 LEGO Legends of Chima Ewar’s Acro-Fighter is available with your order at the Online LEGO Shop. LEGO polybags can also be found on eBay, and often in bundles. This is a great way to pick up a whole set of polybags to start your collection. See below some of the current eBay listings. After Christmas LEGO Sales – the Hunt is On! Wow! Lots of Chima polybags! I can’t wait to get my hands on those Lone Ranger polybags! I thought it was a good post, I might get the Chima polybag with Crug. I wish they had one with Erin because she only comes in one set that I don’t really like. Not to change the subject . but is there any more news on the lord of the rings/ hobbit sets. Are there any Ninjago polybags? 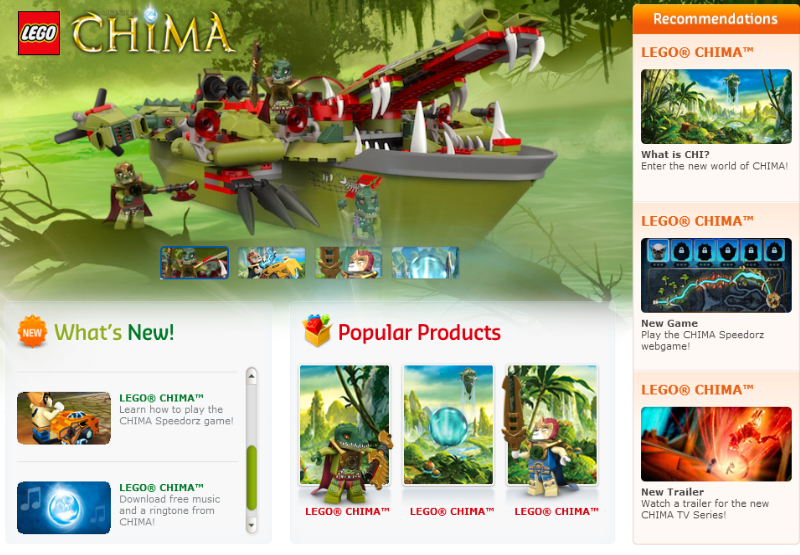 Any why is Lego working so hard on Chima publicity? Brickipedia has some pictures of Galaxy Squad polybags that I am keeping my eyes open for. admin, do you know if the friends hair is able to be used on minifigs? if so i might get a few of the friends polybags. thanks admin! i’ll be sure to put aside a bit of mony for polybags. Heads (and bodies) aren’t compatible, though. i didn’t even know their heads were removable! Yeah, see this old post. ^ Ben Dodson!!!!!! I used 1password for my mac and i feel it is really much MUCH better! Thanks! http://www.brothers-brick.com/2013/01/02/wb-interactive-announces-3-lego-legends-of-chima-games-news/ Check this link out! I like Chima. The minifigures look really detailed. Was that in the LEGO Club Magazine or the Retail Catalog? I found the lego friends ice cream one at Target and the balloon one at toysrus. Any idea where the picnic one might be? When are the friends sets out in the uk ? Where do you buy them from. Hey guys, you can get most of these at Target. Is there any good lego mobile app available? Mike, what kind of app are you looking for? There are tons of them, but directly by LEGO and third-parties. Previous post: Mysterious 2013 Chinese Dragon LEGO set! Next post: LEGO poseable mini-legs for shorties!